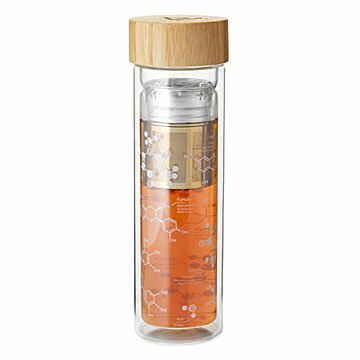 This double-walled, borosilicate glass infuser flask gives tea lovers a stylish lesson on its chemistry. Brew your tea using the removable stainless steel basket. Stir in milk, sugar, or whatever you like. Repeat experiment as required. Double walls stabilize the temperature of your results and protect experimenters' hands. Made in China.